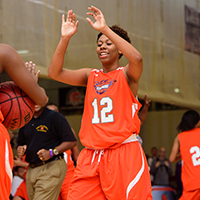 The Carolina All-Stars have been a staple program at Peach State Basketball tournaments over the past decade. Coach Ty Cox has always found ways to put some of North Carolina’s best talent on the floor year after year. 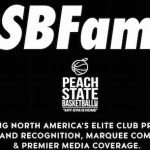 In recent years, the program has grown and deepened with multiple teams competing in the tournaments top brackets year after year. 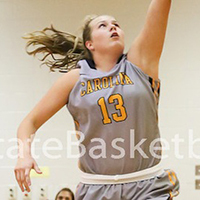 During the 2014-15 College Women’s Basketball Season, over 50 Carolina All-Stars Alumni played at the next level. In addition, the program had 16 (11 Division 1 & 5 Division 2) Carolina All-Stars Alumni from Coach Brian Norwood’s Class of 2015 to sign scholarships to play college basketball. Syracuse freshman Briana Day of Durham, N.C., started all 31 games for the ACC team. She was named All-ACC Season by College Sports Madness and set a single season school record by grabbing 322 rebounds. She also posted 13 double-doubles during the year. 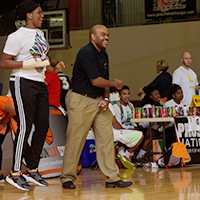 Day was an #EBAAllAmerican in 2012. 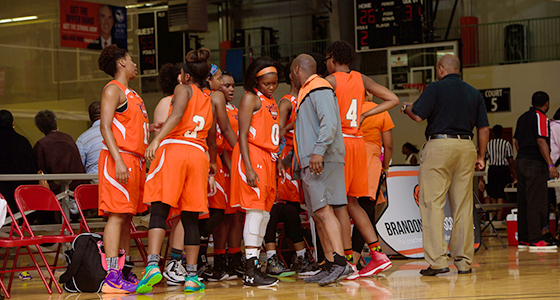 On the court, Carolina All-Stars Bond 2016 team had a winning record against EYBL teams including a win over Boo Williams EYBL at USJN Nationals in Washington, DC. Carolina All-Stars Norwood 2017 Team finished in Final Four in 10th Grade Division at Adidas Girls Nationals losing in a close game to the eventual champion. The Carolina All-Stars will feature two class of 2017 teams next year. 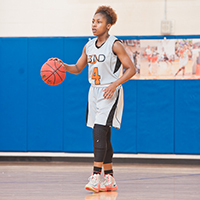 Class of 2017 point guard Tierra Wilson of Winston Salem, N.C., will lead the Carolina All-Stars Bond 2017 team. 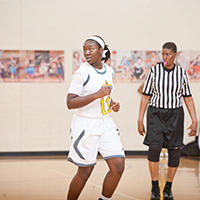 Wilson earned a 4-star ranking over the past year and was an #EBASuper64 Camp standout in June. 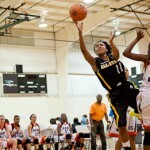 Keep an eye on Class of 2017 wing Tamia Knuckles of Wendell, N.C., and class of 2018 Marissa Mackins of Durham, N.C., as two potential breakout performers next year. 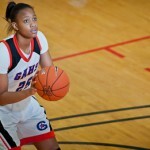 Also watch for 5-10 J’Naya Emphraim of Durham, N.C., to be another talented newcomer to the program next year. 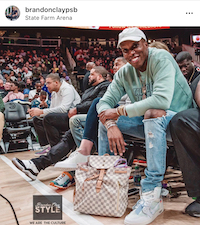 She was a member of the US Virgin Island Women’s National Team. 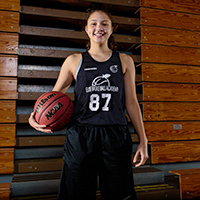 At the age of 15 she was the youngest participant this summer at the 2015 FIBA Americas Championships. Coach Brian Norwood also sports a strong class of 2017. Jaylin Powell of Raleigh, N.C., heads the list as one of the most consistent performers on the roster. 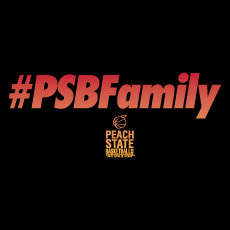 The 5-10 power wing put up big showings starting in March at the #EBATop40 Camp and later at #PSBMayDay. Point guard Kelly Fitzgerald of Apex, N.C., turned in a huge summer garnering interest and offers from around the Southeast. 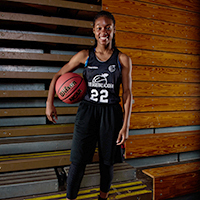 Zairya West of Raleigh, N.C., is a prospect of potential and sure to break out in upcoming months. 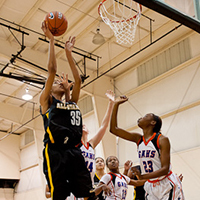 She has showed her talent consistently at the Elite Basketball Academy in the past year. Other guards Kelbi Lewis of Durham, N.C., and Kristian Eanes of Pittsboro, N.C., bring depth and competitiveness to the roster. 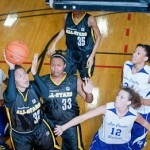 The depth of the Carolina All-Stars program is evident with the amount of young prospects that are already suiting up. 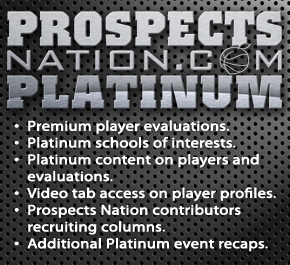 Class of 2019 prospects Niamoni Bagley and Imani Howard both of Durham, N.C., caught the attention of ProspectsNation.com evaluators at the #PSBEndoftheRoad. Other 2020 prospects to track according to coach Cox are Ahsaunti Parker, Ashley Roberts and Shelby Woods. 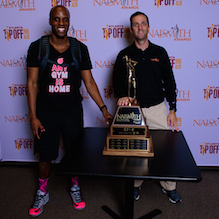 Jonathan Hemingway is the Assistant Director of Scouting for the JumpOffPlus.com International Scouting Report, is on the Naismith Trophy Board of Selectors and owns CoachHemi.com, the go-to source for coaches for X’s and O’s. 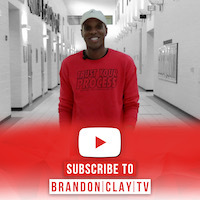 He is the floor director of #TeamEBA camps, a site director for #TeamPSB tournaments and can be reached at jonathanhemingway@peachstatebasketball.com.